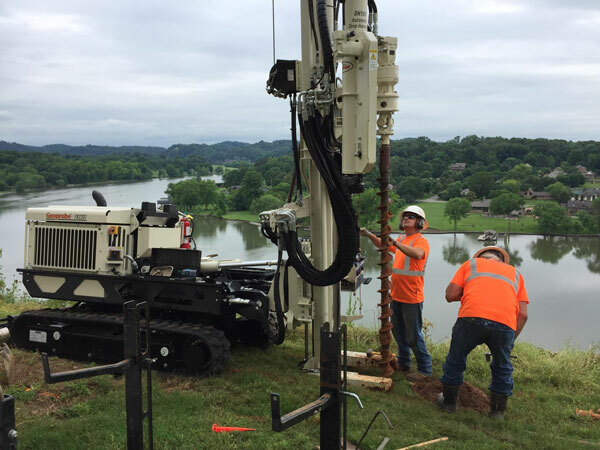 Our DPT rigs are built by Geoprobe Systems® and are equipped with state of the art tooling, ranging from MC-5 to the DT-45 sampling systems for soil sampling, SP-16 and mill-slot groundwater samplers for water sampling, and a PRT system for soil-gas sampling. Each rig is equipped with a sample extruder. We offer pre-packed screens, MIP sampling, grouting, injection, and geotechnical sampling with all our rigs.